Industrial Chandeliers Add Sophisticated, Timeless Style… Without Costing a Fortune. An industrial chandelier can be an easy way to add style and an interesting focal point to a room – plus lighting as well. 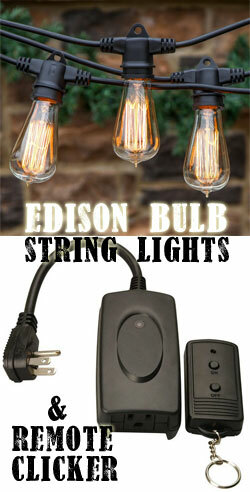 Many Edison bulb chandeliers with cage frames are also very lightweight and easy to install – not to mention affordable. Above are a few great examples of this type of loft-style lighting. They all give off a significant amount of light due to the number of bulbs that they hold – but at the same time they only require a single hardwire connection, which simplifies the electrical work. But wait – who said you had to buy one? Why not make your own DIY Edison bulb chandelier? With a homemade project, you can typically save a lot of money, so this enables you to create a larger lamp for under $200. The video below explains exactly how to to do it step-by-step. As you’ll see, you can get creative with the size and shape of your design to make it fit your space and lighting needs. Lamps Made with Mason Jars? Another popular type of industrial hanging light is a mason jar chandelier. Its unique, casual home-made crafting is traditional and classic all at the same time. It also is a sure-fire way to get friends to do a double-take, and these centerpieces are great conversation starters. Add some color if you want. In fact, there are several monochromatic styles and multi-color lights handmade by a company called BootsNGus. It’s not the lights that are colored – it’s the actual glass, so you get to enjoy the color even in the daytime when the lamp is off. They’re taking Ball Jars and pickling to a whole new level! On top of that, these “unexpected” jars can give industrial chandeliers a one-of-a-kind look without costing a fortune – and you don’t have to make it yourself. That said, I don’t have a problem with you telling your friends that you made it. Go ahead – take the credit! But wait – there’s more! Pipe chandelier lamps. While subtle in design, they provide a very rustic look for a bar, kitchen, man cave, workshop – you name it. 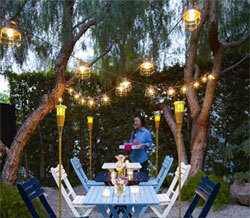 Combined with Edison bulbs, they also have a vintage appeal. The rectangular shaped lamps make them ideal for hanging over kitchen islands, bars or dining room tables. There are even some that include unique detailing live valves, which make them look like you might have pulled them right out of the backyard.